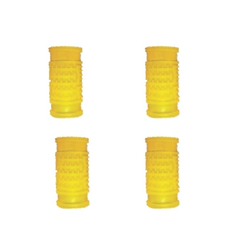 Our product range includes a wide range of online drip openable threaded dripper(babir-odt01), flat drip-smart line(babir-fdsl01), online drip lateral(babir-odl01), pressure compensating dripper(babir-pcd01), micro sprayers(babir-ms01) and plastic disc filter(babir-pdf01). Available in 4Iph and 8Iph. 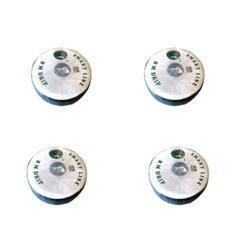 Suitable for Orchards, Plantations, Field crops etc. Flat Drip-Smart Line is a cheap solution for watering open fields, orchards, hedges, row plants, flowerbeds, and green houses. 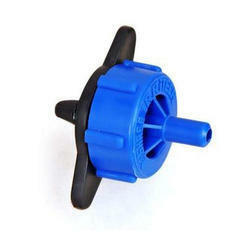 Drippers spacing 30cm Discharge of each dripper 2.0 1/h Available on 1000 m reel. This flat Drip line provides advance and state of the art micro-irrigation to the fields, with wall thickness varying from 0.20 mm to 0.90 mm and drippers spacing from 30 to 90 cm, with a cluster, it provides an excellent solution for various crops in the Indian conditions. 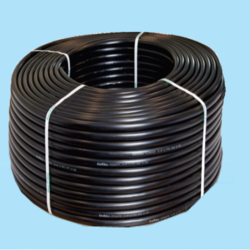 Online Drip Lateral: Resistant to chemicals and fertilizer used in agriculture.Used as the lateral pipe in various micro irrigation systems such as Drip, Micro sprinkler, Micro sprayer, Jets, Foggers etc. Pressure Compensating Dripper: Cylindrical PC dripper with unique regulating labyrinth with self - flushing operation at the beginning and the end of each irrigation cycle. Useful for using an undulated area for uniform discharge. Triple inlet filter with filtering area 10 times larger than any other dripper. High clog resistance. Suitable for poor quality and effluent water. Micro Sprayers: Low maintenance open spray jets which excel in performance and reliability Wide range of spray patterns and trajectories. Color-coded nodules for flow rate identification. Specifically designed for Orchards, Vineyards, Oil palms, Coconuts, Horticultural Plants and field crops. Plastic Disc Filter Technology is used for removing inorganic impurity easy installation. Sand/Gravel Media Filters: Available in 2", 2.5" and 3" inlet outlet sizes with filtering capacity 10, 20, 30, 40 and 50 rehr. respectively. Available wide range for selection. Vertical model for effective filtration. Filtering media quartz of grade 2 to 3mm. Mild steel powder coated corrosion resistant body. Pressure testing port at inlet and outlet. Easy to open and clean. 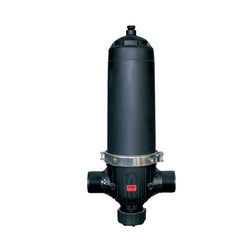 Used as a primary filter, effective against organic impurities, algae and against very fine suspended particles. 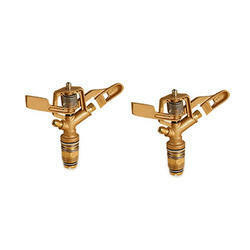 Fertilizer Injector is used for proportional fertilization i.e. for injection of fertilizer in constant proportion to irrigation water. 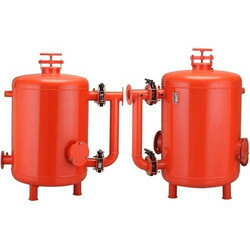 Used for chemical treatment like Acid treatment and Chlorination. 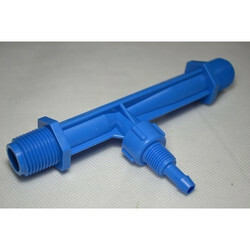 Available with float device to regulate the flow fertigation solution.